Neurospora is a member of the large group of "higher" fungi called Ascomycetes. The diagnostic feature of Ascomycetes is that the cells that are products of a single meiotic division are temporarily contained in a membranous sac called an ascus. Other familiar ascomycetes are Aspergillus (a greenish mould common in homes), Penicillium (another greenish mould and the source of the drug penicillin) and Saccharomyces cerevisiae (baker's or brewer's yeast). 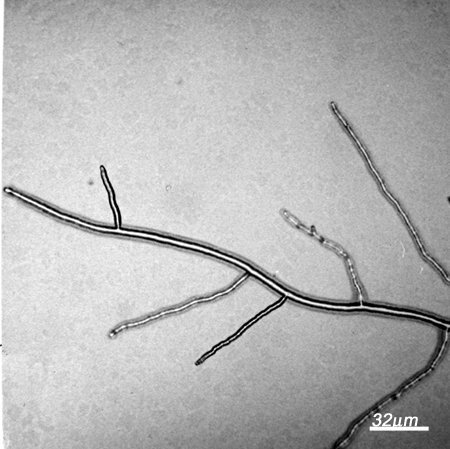 Like moulds in general Neurospora grows by elongation of the tips of its hyphae, and by the formation of new tips as branches just behind the main tip. 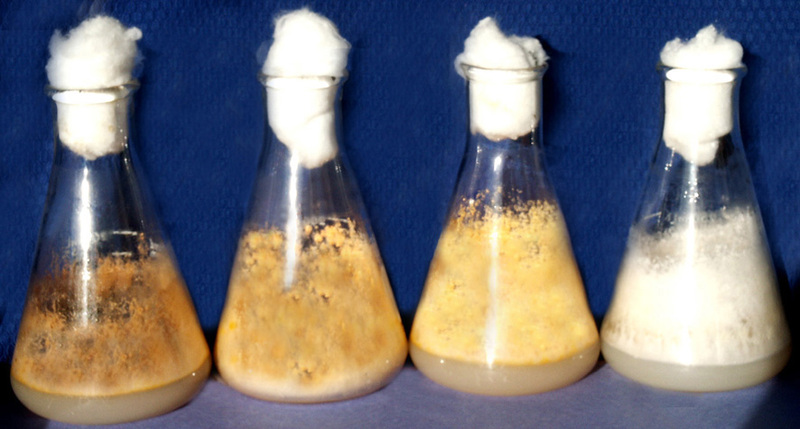 Neurospora is one of the fastest-growing filamentous fungi, approximately 10 cm per day. 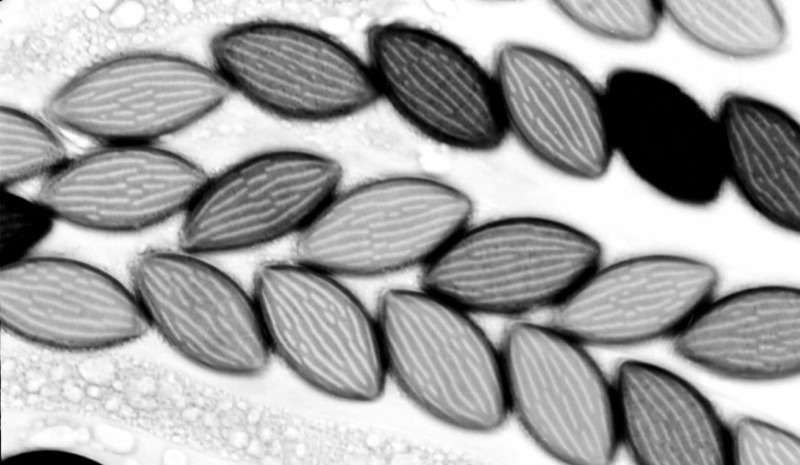 FGSC 988, wild type showing filamentous growth. The genus name Neurospora when literally translated means "nerve spore". This refers to the longitudinal striations, resembling nerve axons, on the football-shaped ascospores. This is the key diagnostic for the genus. Neurospora is sometimes called the orange bread mould. Orange because of its characteristic pinkish-orange color due to carotenoid pigments. Bread mould because it was once a nuisance in bakeries, on account of its propensity to inoculate and grow on the loaves of bread. 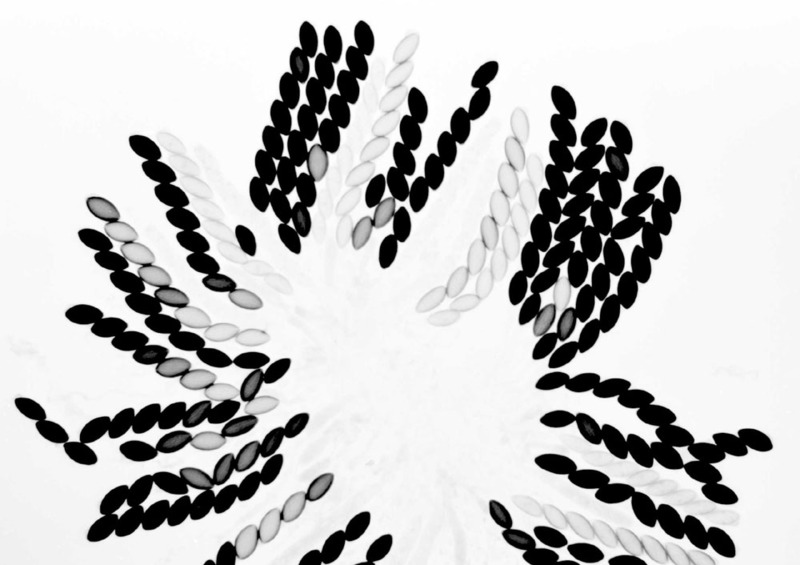 The species Neurospora crassa has been the main choice for genetic research over the past 60 years. However, there are a number of different Neurospora species such as N. intermedia, N. discreta, and N. tetrasperma. Cultures of many of these species are indistinguishable to the eye; their grouping into species is based on interbreeding. For example, all Neurosporas that give a large proportion of viable progeny when crossed to N. crassa, are by definition N. crassa. Now, more and more work is being done on species other than crassa, which have interest regarding evolution of the genus, and which have other interesting individual features.